I am an Associate Professor in the School of Computer Science, University of Nottingham, Malaysia Campus. I am a member of the Automated Scheduling, Optimization and Planning (ASAP), School of Computer Science, University of Nottingham, UK, and an Honorary Research Fellow (formerly a Research Associate) with the Centre of Excellence for Research in Computational Intelligence and Applications (CERCIA), School of Computer Science, University of Birmingham, UK. 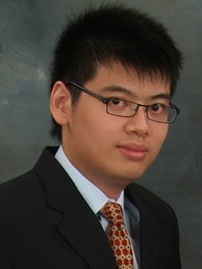 I received the PhD in Computer Science from the University of Birmingham and was awarded the 2009 IEEE CIS Outstanding PhD Dissertation Award, under the supervision of Xin Yao and Peter Tino. The PhD led to several publications, including one that was cited for the 2011 IEEE Transactions on Evolutionary Computation Outstanding Paper Award.